The 21st Century Business Round-table is heading to session #3 in Northampton and session #2 in Springfield. Our theme this year links mindfulness and enterprise success for you, the mindful entrepreneur. What is the measure of “age?” Does it really tell us much about who a person is, and what he or she is doing? Some of us celebrate, and some get worried as they count the passing years. But is it age that matters, or is it something else: fulfillment, achievement, accomplishment, satisfaction, happiness, a sense of wholeness? At any moment (at any age) in life, each of us can take measure: “Who am I? If not now, when?” The same for our businesses and organizations. Alaska Airlines, one of the few airlines, and in some recent years, the only one, to be profitable in North America, employs over 50,000 data points daily to measure how well it’s doing. It’s been an astonishingly successful enterprise with a full national flight schedule: it has the highest on-time take off and landing rate, it has the most satisfied customers and consistently high customer ratings, it has a safety record second to none, and yet it’s profitable. This is the airline that developed satellite tracking and guidance systems, the first to fully utilize this technology. Satellite guidance initially solved the airline’s home-base problem: Alaskan airports are nestled in small areas between mountains and coasts, and the winds and weather can be brutal. Flying there had been high risk yet left no room for error. This example can teach us many things, including how to engage innovation effectively, and how to manage a complex system successfully. And profitably! And, by the way, for the common good: folks in Alaska depend on this transportation system, and the company has been committed to community and public interests. We don’t always need 50,000 measures, or data points, to help us. I’m now working with, and offering as a new INCOMMN service, a measure-and-analysis system called CoreValue Software. INCOMMN is an advisor with this system, meaning that we employ it to help enterprises measure and track every key aspect of business and organizational development. The system uses 18 dimensions, or areas of measure, including internal (management, organization, accounting, leadership, and legal dimensions) and external (marketing, sales, product/service placement, pricing, brand, customer satisfaction) measures. On each measure, the business is compared to other businesses in its industry sector and also measured against its own stated goals and needs. Each measure is scored, and each results in a number of recommendations for improving that score. It’s the perfect tool for business valuation if owners are thinking of selling, and for entrepreneurs thinking of buying. And it’s equally powerful for assessing any businesses strengths and challenges, for growth planning, and for loan evaluations. We’ll be carrying more information on our web-site about this exciting new tool. Give us a call if you want a demonstration or preview, or if you’re wanting to acquire, sell, grow or elevate any business. There are many great opportunities and rewarding birthdays for the mindful entrepreneur! 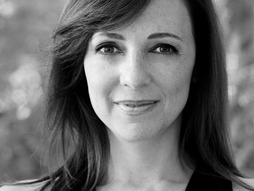 Go to the TED site to read more about this, and watch Susan Cain’s wonderful, illuminating and – yes, mindful – presentation. In one of my business practices, the founder/owner and I engage in review, evaluation, planning and preparation every year starting just after Thanksgiving break. We spend a month at this; we purposefully set aside time to talk with our colleagues, each other, others in the field, and our staff associates to fully appreciate what we’ve experienced and what we might want to happen next. We’re almost brutally honest, and also completely open to ideas, opinions, and information. In some years, we’ve turned the business inside out and upside down to explore and try something new, and then at the end of that year concluded that we made mistakes and want to try something else entirely. It certainly presents challenges, and one has be somewhat fearless to go through this: you don’t know, and you don’t even try to predict, what you might learn and discover in the process. But we can’t argue with the the results: raving clients, happy and productive and enthused staff, increased profitability, and a fine workplace. During this process, we’ve often turned to various measures: numbers of calls, numbers of prospects, percentage of prospects who become clients, types and behaviors and expectations of clients, and at least several others. And we’ve learned: selling is dead. Our best years have been when we’ve focused on elevating our relationship building by delivering what the client wants and needs, and by approaching each prospect as a present and self-aware person who has clear ideas about his or her world. That is, we approach everyone with complete respect and appreciation, and we approach thoughtfully, caringly, and deliberately. Relationships are created and built. And through these relationships, business is completed. Over time, and this measure varies since each relationship blossoms differently, “sales” are made. More accurately, actions are taken that satisfy each client’s interests to the extent that our busines earns money for what we’ve provided (thoughtfullness, care, purposefull discussion, quality information, solutions to challenges). We don’t sell anything; we offer relationships that address needs and interests of clients. Business, particularly service business, is not about selling; it’s about building signficant and lasting relationships. And it’s done through networking, collaborating, partnering, one-to-one conversation. It necessarily requires empathy, self-awareness, and respect. “Being there” when it counts is replacing the sale.